Lustrous Grasscloth Wallpaper 21 in. x 33 ft. 57.75 sq.ft. Plain Grass Wallpaper, 36 in. x 24 ft. = 72 sq. ft. 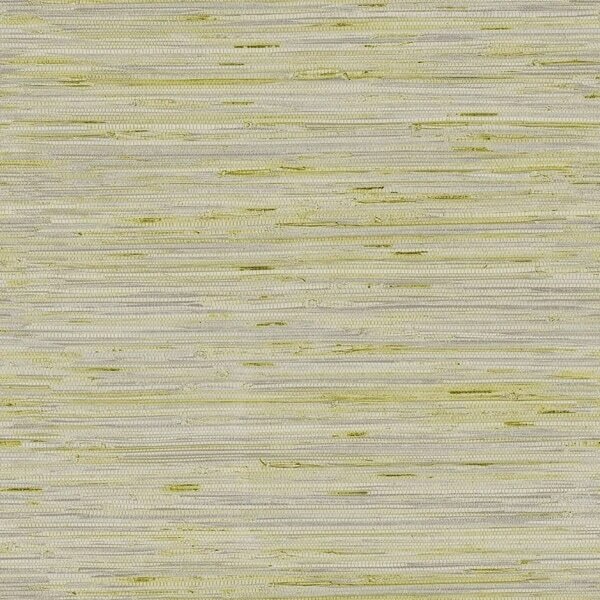 This realistic faux grasscloth has the texture and soft blend of shades one often sees in the authentic article. Made from vinyl, however, this wallcovering is washable and durable so it can grace high traffic areas where organic grasscloth might be impractical. Five slightly luminous palettes include golden tan, or antique silver with yellowish green. Double Roll Dimensions: 21 in. x 33 ft. = 57.75 sq.ft. Seagrass Wallpaper 21 in. x 33 ft. 57.75 sq.ft.